When I heard the news of the death of Vincent Labega, I remembered Fred Train once telling me: “Boy dem Labega’s is one set of brainsers me son.” He would have known. His sister Rosie was married to Clem Labega. I use Facebook to post a lot of old photographs of the islands and people. I don’t look at messages too often. However when I did I saw a message from Fabian Badejoe asking if I could contribute something to the eulogy for Vincent Labega. I immediately sent the following message: “ “The Labega family were always known for their smarts going back to when the family was first established on St. Maarten centuries ago. Vincent who we now mourn was one of the quickest witted people I ever came in contact with. He had a special smile when he was about to make a remark on any particular subject. I palled around mostly with his brother Clem, but there were many times when our regular group would include Vincent. There was a time when he worked for the United States weather bureau which provided service to Juliana airport. Both he and his brother Clem followed in their father Percy’s footsteps by studying for wireless operator. Vincent was also an avid ham radio operator. I remember once sitting with him in his office close to the Juliana airport. He was doing Morse code. Although he was hard of hearing he was tuned in so well, and understood the Morse code so well, that he would be laughing at times. After the Morse code conversation he would tell me the joke his Morse code friend had shared with him. Ceremony for the 100th anniversary of the Methodist Church. In the photo several Labega ladies including Jazz, her aunt Helen and another aunt. But it was too late for Fabian and so he asked me if I could put Vincent “Under the Sea Grape Tree” when I got a chance and he also sent me a copy of the eulogy from which I will quote. “Eulogy for the late Vincent Alexis Labega (September 30th, 1924 – February 25th, 2015) by Regina LaBega and Sunilda Gomez-LaBega. “Vincent Alexis Labega was indeed an icon; one of that generation of St. Martiners that made the best of their God-given talents to build this island and lay the foundation for our economic progress today. And daddy was multi-talented. He was a very good musician, and exceptional pianist whose skills earned him the nickname, “Paliachi”. He who gave everyone a nickname also got one himself. He played several musical instruments, including the guitar, mandarin, and the so-called Hawaiian guitar which you placed on your laps to play. “Almost everyone knows him as one of the first amateur ham operators on the island. He was in tune with the rest of the world. Although he has been referred to as being very disciplined – perhaps because unlike quite a number of his peers at the time, he did not frequent bars, and did not drink – he knew how to adapt to the time, and was quite liberal in his views and attitude as he grew older. However, he never compromised on a good education. In fact, he valued nothing more than a sound education, as opposed to just book knowledge. He had a disdain for those he called in his usual frank and sometimes hilarious manner, ‘educated jackasses.’ He always insisted on academic excellence and none of us could have come home with grades less than 8 or 8.5 without some serious consequences. 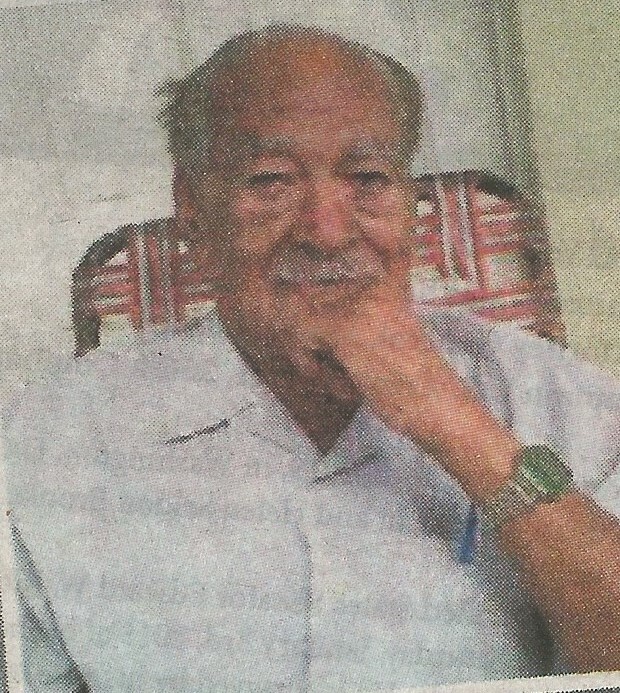 He was an avid reader as well who never stopped reading books and newspapers until his last breath. It was from him that many of us developed the love and habit of reading. He used to say that his children learned how to read first before they could talk! But he didn’t read for reading sake; he had a very critical mind and like to discuss the latest books he read. Daddy was an educator himself. He taught for some time on Statia. He loved teaching. In fact, he never stopped being a teacher all his life because for him teaching was not only imparting knowledge but more importantly sharing it, whether it was about operating a ham radio, about music, or about any of the areas he was skilled in, including that of being a renowned technician, the go-to guy to fix anything that needed fixing – radios, fans, machines-any and everything. It is said that it only took him two days to repair broken machinery at the airport in those days, a testimony to how good he was. “He was, without doubt, one of the outstanding pioneers of aviation and tourism on the island, with his brother Clem, and Claude, all now evergreen memory, and others of their generation who labored day and night to lay the foundation upon which we thrive today as a touristic destination. He was influenced by his father Percy who was in charge of the telephone company and the postal services for the three Windward Islands and also served as radio operator and Administrator of Saba and Vincent would often go to Saba to be with his father. In the eulogy reference was also made to his ghost writing for the St. Martin Star. In the fifth anniversary editorial of that paper Alan Richardson the Editor gave me all the credit for bringing about this paper. Why? Because I had such a popular column ‘The Exile Speaks’in the NEW AGE newspaper of my friend Mervin Scot, that the Democrat Party had to come up with something to defend themselves. I think that Vincent’s column in that paper was “The Bomber” if I am not mistaken. Administrator of Saba the Hon. Edward Caroll Labega. He was Administrator of Saba from 1958 to 1960. Here is is handing out an award to Miss Janice Johnson for student of the year. His first wife was a Johnson from Saba, a sister of “Mum” and Gillie I think. Vincent’s brother Clem and I lived like brothers although I was opposition to his beloved Democrat Party. He used to tell me that the name Labega originated from “De la Vega”. It was pronounced on Saba as “Labegaah” and they were involved on Saba as well. Percy, the father, and I were nearly lost together on Capt. Mathew Levenston’s sloop the “Gloria” on September 7th, 1957. We left Saba just before sunset and were caught in a storm around 11pm and were battered about at sea until 3pm the following day, when we were seen drifting on the Saba Bank. Kenneth Peterson came to the rescue with his boat and towed us back into the roadstead of Fort Bay. “Feddy”, as he was known to family and friends, was a qualified headmaster. He also held degrees in English and French, and was fluent in Spanish. He completed his education in Curacao. He served as tutor to the children of some of the wealthy families at a time when these families either had tutors from England or sent their children to the United States for their education. 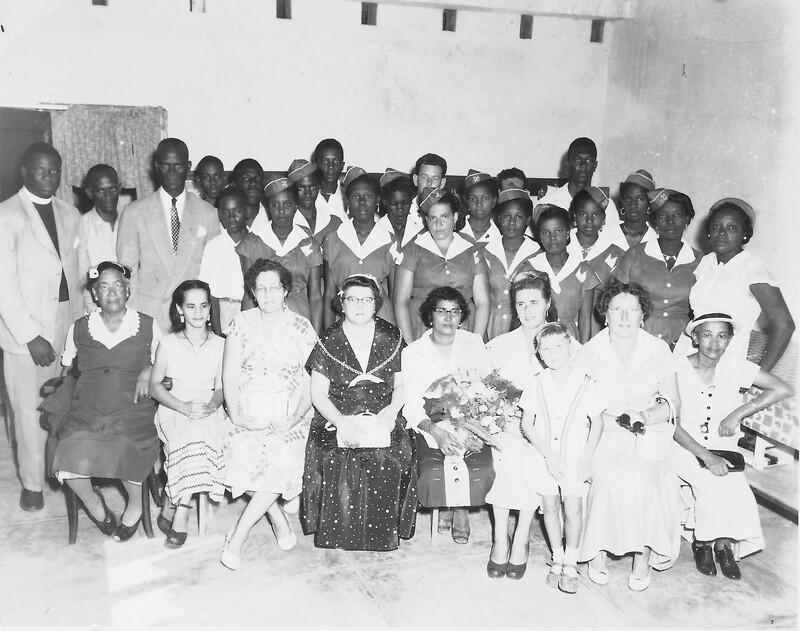 As a teacher Labega was always on friendly terms with the teachers and officials in Marigot. They were from Guadeloupe, so Mr. Labega was afforded many opportunities to use the French language. It is believed that a German nun in the Roman Catholic convent in Philipsburg taught him Spanish. 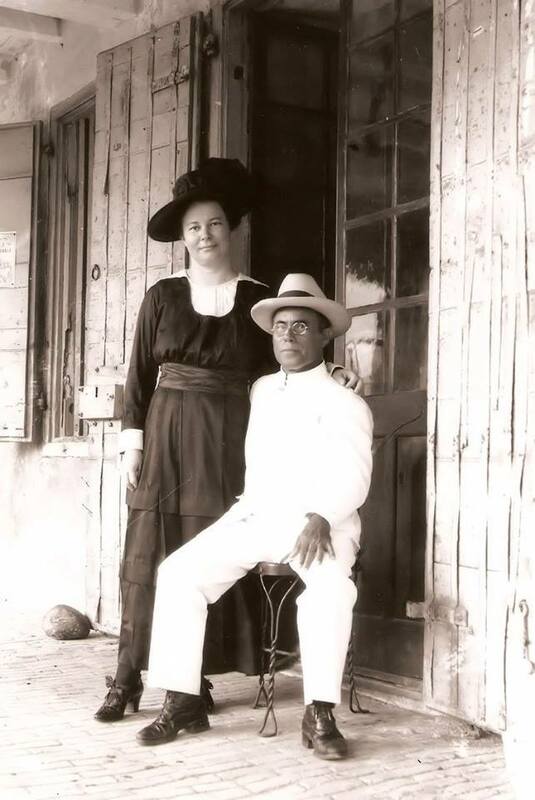 This he put to good use in the Dominican Republic where he taught English from the time of his “retirement” on St. Maarten until shortly before his death. 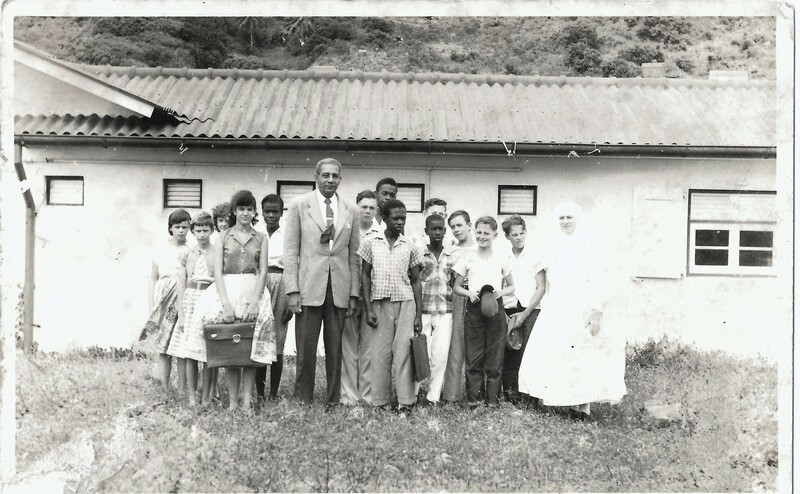 Mr. Labega was a head teacher in the government school: Cul-de-Sac, Little Bay, Philipsburg (Old Dutch Church), and in later years he also served at the Mount William School. In the Dominican Republic he taught at the Escuela Normal at San Pedro de Macoris. When Labega died from paralysis in 1937, “De Bovenwindse Stemmen” called him a “hard working student (who) never relaxed his efforts at self-improvement.” We also learned from that obituary that he contributed articles to the press on Curacao, Santo Domingo, and for some time to “De Bovenwindse Stemmen”itself. “Many of his works are nom-de-plume, the best of which have never been published. His best verses are “Lines Written in Little Bay Church Yard”, and “Evening Reveries”. He wrote several novels. Two of the best were “Hail Columbine” and “A Mother’s Fault”, but democracy was not ripe enough to accept such broadminded literary works when he attempted at publication. An acquaintance of the great William T. Stead, a certain Mr. John White, who incidentally was in some way or other connected with the White House, took these manuscript novels along with him and submitted them to Mr. Stead. But after Mr. Stead’s death on the “Titanic” disaster in 1912, a clerk finding the manuscripts on the great editor’s desk returned them. “A Mother’s Fault” was never published, but is a manuscript worth reading. The Editor of “De Slag om Slag” “Broertje Brouwer” son of legendary Lt. Governor A.J.C. Brouwer adds: Our Editor is proud to say that he took private lessons from Mr. Labega for some time.” Many others on St. Maarten at the time were proud to say the same thing. I wonder if any of Mr. Labega’s descendants of today have any of his writings left. I have already written the life story of Clem Labega. Vincent and Clem’s parents were married on Wednesday April 9th, 1924. Wilfred Percy Mendez Labega (26) son of Victor Emanuel Labega and Marie Isolene Arrindell, married Maria Denise Josephine Arrindell (31) daughter of Joseph Romney Arrindell and Marie Eglantine Howell. 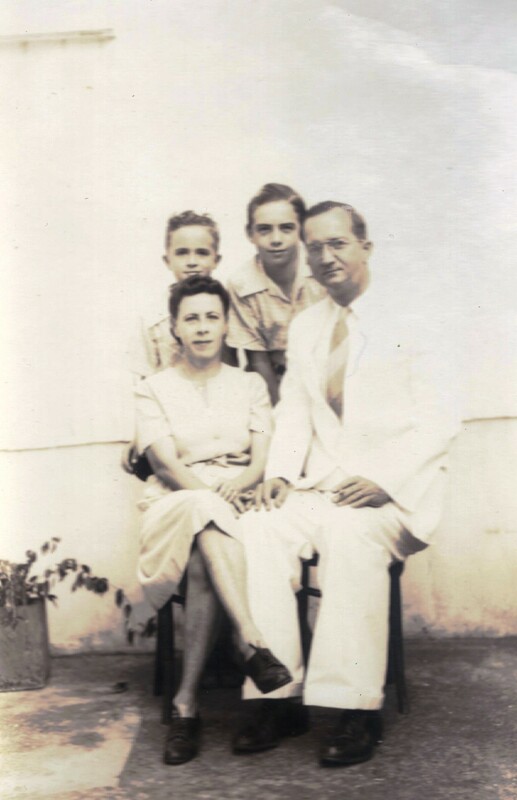 Administrator Max Huith and his wife Cynthia Labega 1948 with their two sons both of whom became Medical Doctors later on in life. There were other Labega’s who married into then prominent St. Maarten families such as Mr. Max Huith whose wife was Cynthia Labega. He was Administrator of Saba, and we also had Edward Carrol Labega(born 26 April 1909) who was Administrator of Saba from 1958 to 1960 whose first wife was a Johnson .His two story house on the Front street was later owned by my friend Frederic Froston. They also held prominent positions on Curacao such as Head of the “LANDS RADIO DIENST” and so on. May Vincent rest in peace.